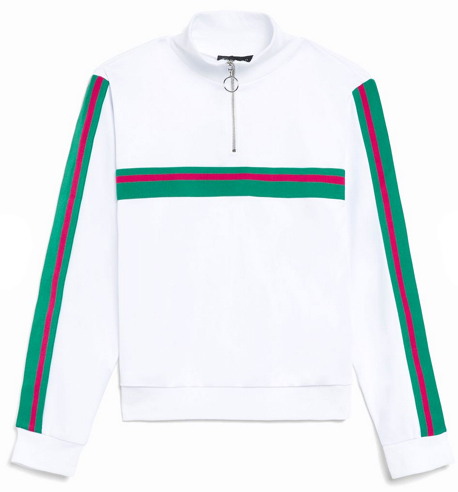 I'm not a fan of wearing gym clothes out of the gym, but this newly purchased Gucci-spirited sweatshirt is an exception, because it really does look stylish with jeans and surprisingly over a flowy dress. And I love the dressed-to-impress statement it makes when I show up at a Body By Simone class! Other no-sweat pieces that do double duty: this Stella McCartney hoodie, this Nike velour top and these Champion terry sweatpants.